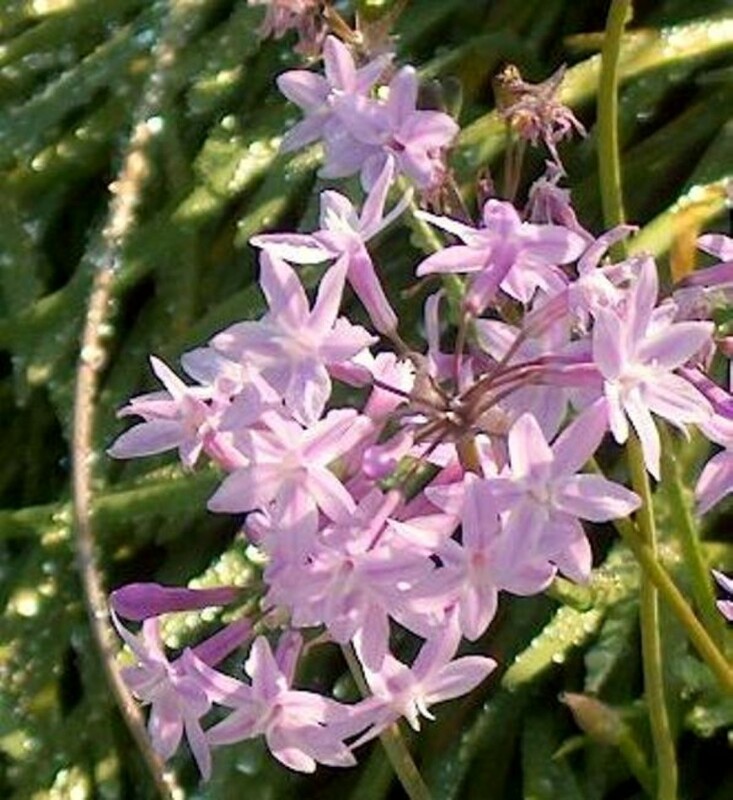 Comments: This is an easy to grow perennial that produces clusters mauve-pink, tubular shaped flowers and narrow strap-shaped leaves that smell like garlic when crushed. Flowering is over a rather extended period from mid spring through mid summer. Plant the flat tuber-like roots in a well drained soil in full sunlight although plants are tolerant of a wide range of growing conditions.